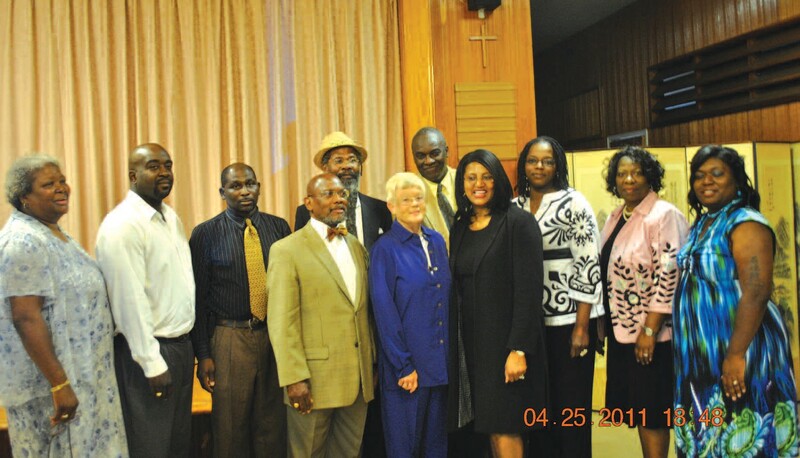 The fellowship hall of Holy Spirit Lutheran Church was filled with expressions of congratulations on April 25, 2011, as the 11 graduates of the Step Up Savannah Neighborhood Leadership Academy were honored. These men and women from a variety of Savannah neighborhoods successfully completed a 12-week leadership training program sponsored by Step Up Savannah Inc. The graduates are Shawn Adams; William Coleman; Tabatha Crawford- Roberts; Ronald Elcock; Linda Argrow Green; Bonnie Harris; Betty M. Jones; Diane Pinckney; Elton Price; Leithland Walker and Tithia Young. The students heard presentations and discussed the community’s needs and their aspirations with several Savannah leaders such as Mayor Otis Johnson. They sharpened their community knowledge and leadership skills, and used what they learned to design community improvement projects. According the Step Up Executive Director Daniel Dodd, “The Neighborhood Leadership Academy offered the opportunity for established and emerging leaders from diverse segments of the Savannah community to develop and enhance their leadership skills.” The Neighborhood Leadership Academy was made possible by a grant from the Charles A. Frueauff Foundation. A second training program will be scheduled later in 2011. Carole Fireall and Gwendolyn Jordan were facilitators of the Academy. Step Up Savannah, Inc. is the community’s poverty reduction initiative. It works collaboratively with 100 organizations, businesses, and government agencies to reduce poverty in Savannah and Chatham County. Step Up Savannah is led by a 36- member board of directors made up of leaders from three categories: business and government, social service providers, and neighborhood leaders representing the high-poverty census tracts.